“Where social enterprise and community meet the arts” – Centrala is where multi-functional meets multi-dimensional. 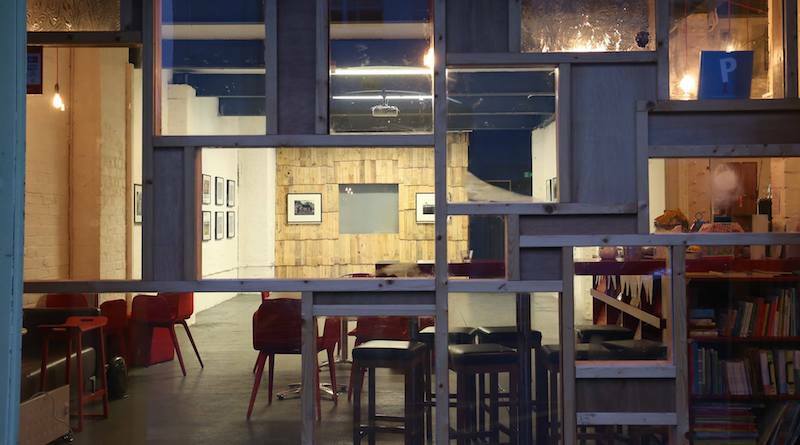 Situated in the cultural hub Digbeth, Centrala is a not-for-profit space that presents art from Central and Eastern Europe and the UK. Comprised of a gallery, learning space and cafe, Centrala has seen many art exhibitions, EP launches, intimate gigs as well as debates and discussions. Find out what’s coming up at Centrala here. Centrala is located inside the Minerva Works, Fazeley Street. It is easily accessible by M6, M5, M40 and M1. Once in Birmingham, head for Digbeth High Street (B4100) and follow it around to Fazeley Street where Minerva Works will be on your right. There are several car parks nearby, as well as designated spaces on the road. Birmingham New Street and Snow Hill train stations are only a 10-15 minute walk away from Centrala, or five minutes in a taxi. Birmingham City Centre is connected with bus routes from all main suburban areas around the city including Kings Heath, Moseley, Edgbaston, Erdington and Sutton Coldfield. For more information on public transport in the West Midlands, please visit networkwestmidlands.com.